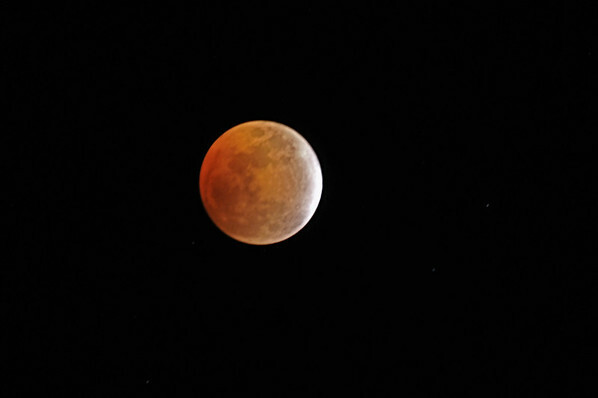 For those of you who haven't been paying attention there was a lunar eclipse tonight. This was the last one until 2010. It started around 8:45pm and went total around 10pm. 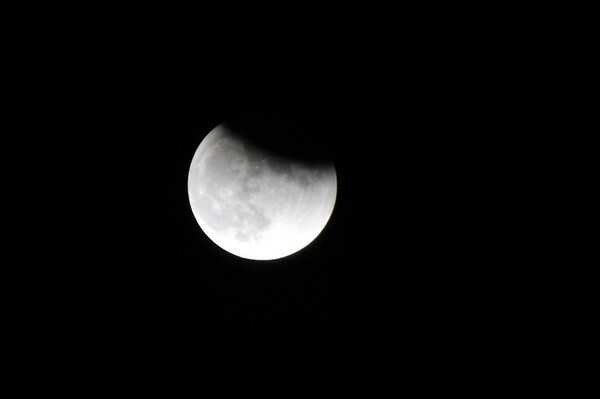 The moon started to emerge from the shadow around 10:50pm. 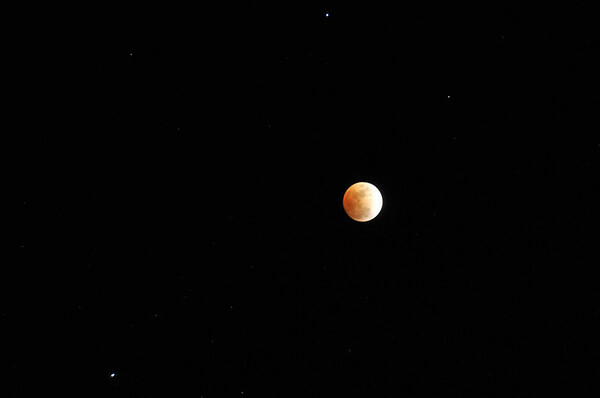 There are a couple of cool things about a lunar eclipse, you can see it without any special glasses etc and the moon doesn't go completely dark but most times turns some shade of red. This happens because the moon is reflecting sunlight and even though the earth gets between the moon and the sun, some light bends around the earth and through the atmosphere. 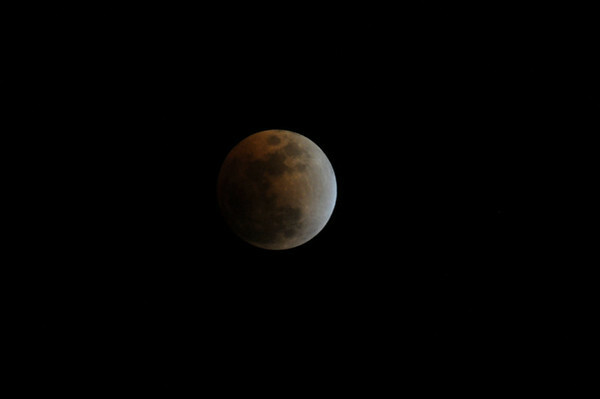 Depending on the particles in the atmosphere that particular day determines the color of the eclipse. I woke Kimmy up to watch it and she was very excited. It was the first one she has ever seen.